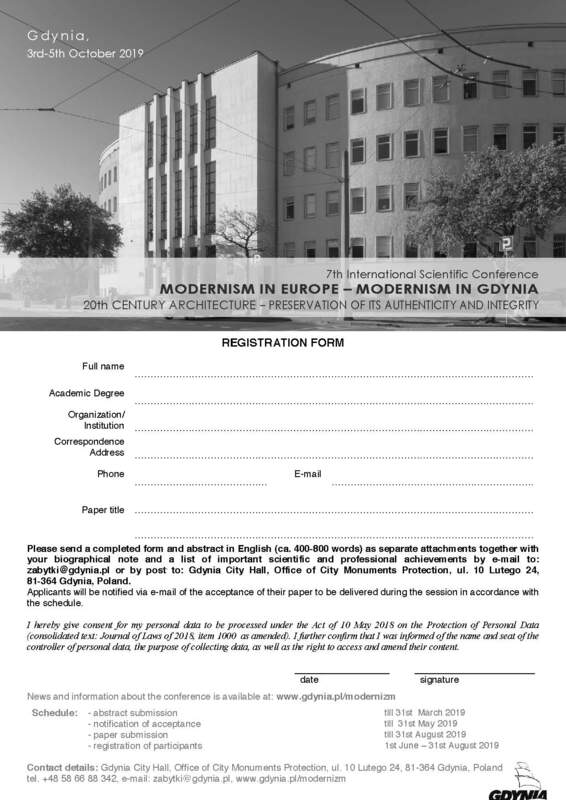 The 7th international scientific conference “Modernism in Europe – modernism in Gdynia. 20th century architecture – preservation of its authenticity and integrity.” will be organized by the city of Gdynia on October 3rd-5th, 2019. As in previous years, the co-organizer of the conference will be the Gdańsk University of Technology, Faculty of Architecture. 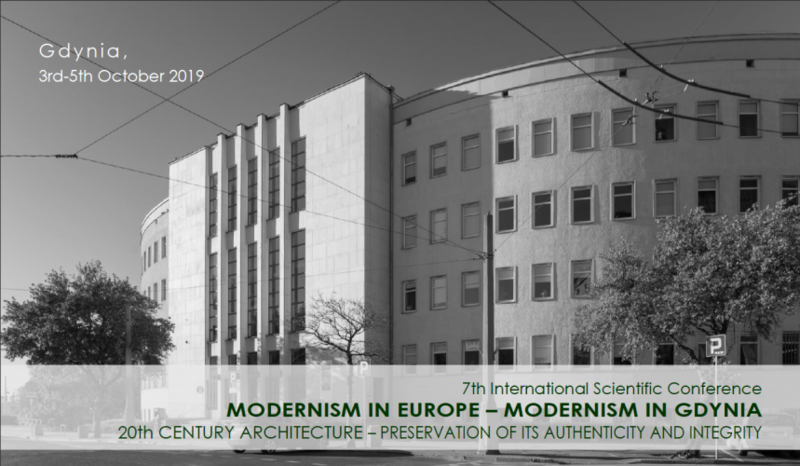 The theme of the forthcoming conference will focus on issues related to the form of modernist architecture and the problems of preserving its integrity and authenticity. The contents of the conference will be supervised by the Scientific Committee constituted by prominent experts from Poland and abroad. We would like to invite you to take part in the conference. Please find attached the introductory information including the schedule of the preparations.